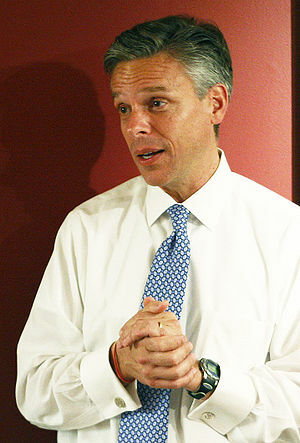 Jon M. Huntsman, Jr. is the only serious candidate for the GOP presidential nomination in 2012. The Republicans owe the country a serious choice between Barack Obama and the loyal opposition. If the GOP does not nominate Huntsman or another serious candidate, they will concede the election to Obama. Now I support Barack, but the political process will be better served by an adult discussion of the issues, rather than the non-issues of the day. Please see Jon M. Huntsman, Jr.